Today I’m sharing a quick and tasty vegetable side dish! Fresh green beans are a healthy addition to any meal. Add a little pizzazz with the addition of almonds & lime. I could eat these every day..
Cut the ends off the fresh green beans. Place beans in a medium skillet with 1/2 cup water. Bring to a boil; lower heat, cover and simmer 5 minutes. Drain water out of pan and place skillet with green beans back on stove. Add the olive oil and sauté for a minute. Zest the lime and add to the beans. Squeeze the lime juice over the beans. Add the sliced almonds and sauté for a few more minutes. Plate & serve. This recipe has been shared on Fiesta Friday, Foodie FriDiy and Saucy Saturday…Go check it out and see some other really inspirational blogs! I love green beans with almonds but have never added lime before. Really nice touch. Thanks for linking up with us at #SaucySaturdays! What a great combo! I get so tired of plain ‘ol green beans and this sounds like the perfect way to get out of that rut. Thanks so much for sharing at Inspiration Thursday! 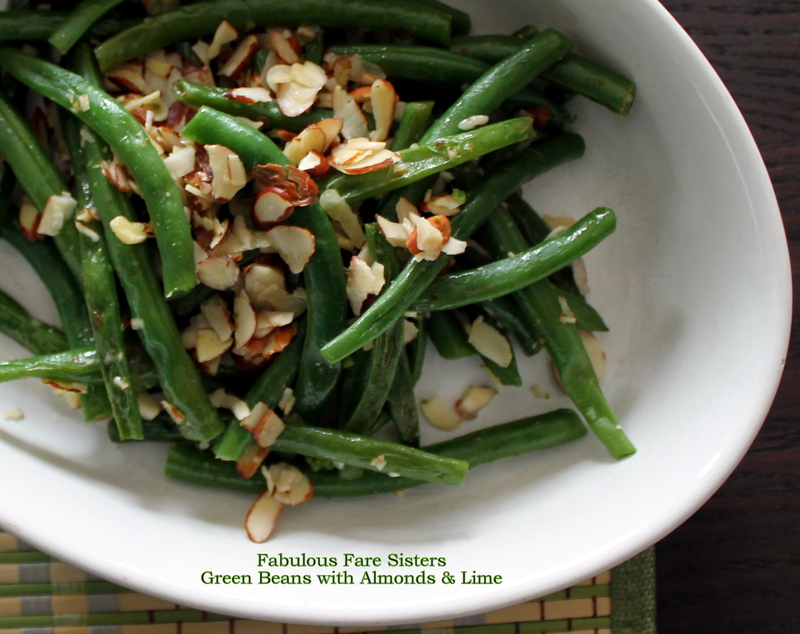 These green beans would indeed make a great side for any meal! Love the fact that it is so quick and easy! Thanks for bringing it to FF! These look divine!!! I love the flavor of lime! Pinned this to my sameatshernutrients board! YES! I’ll be making these for sure. Looks delicious! Interesting Linda as is usually go to lemons instead of lime with green beans….will have to give this a go! 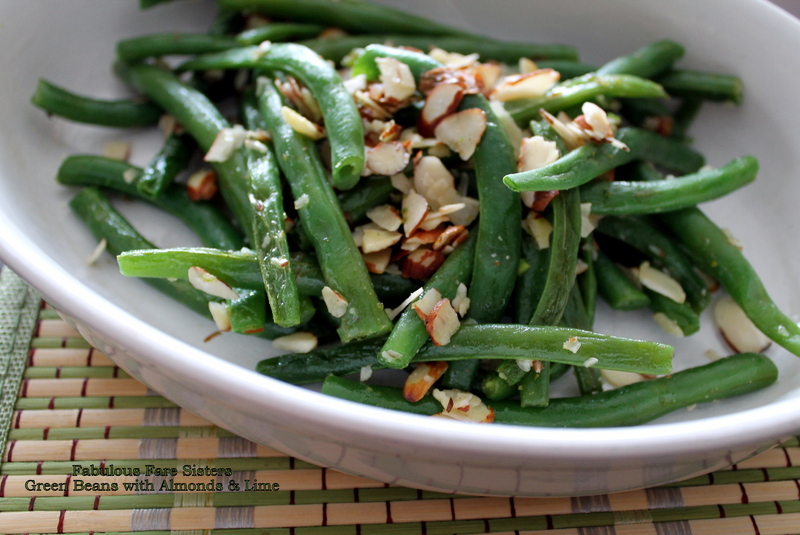 This sounds so good and I love the slivered almonds!